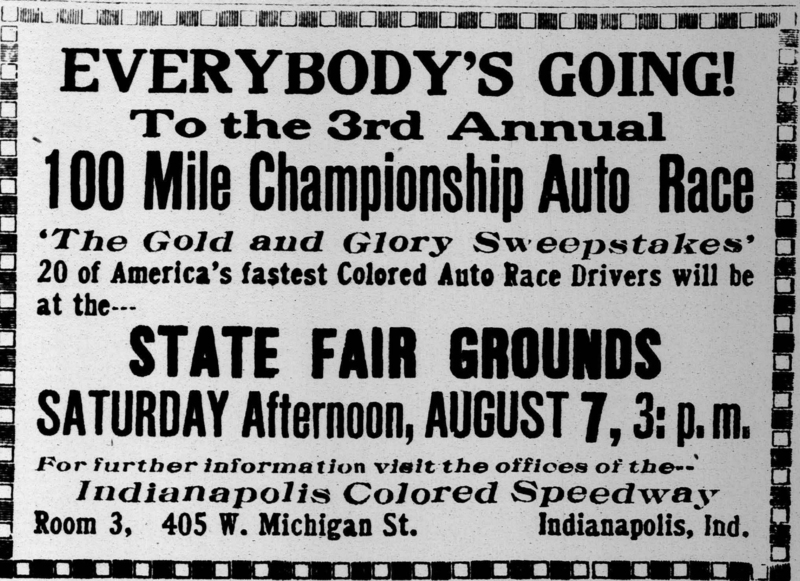 A July 31, 1926 advertisement in the Indianapolis Recorder for the third running of the Gold and Glory Sweepstakes. 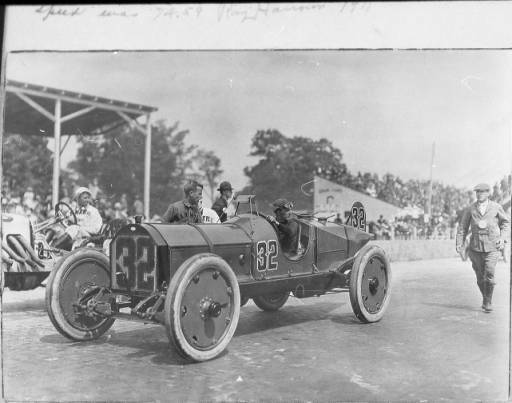 This month the massive crowds at the Indianapolis Motor Speedway appear to confirm its confident claim to being the “motor racing capital of the world.” Racing began on the oval in 1909 and the 500-mile race first ran two years later, with the 99th running of the 500-mile race approaching on Memorial Day weekend. The speedway is a National Historic Landmark, and its fascinating social history reaches well beyond the obsessive statistics and biographical minutia that motorheads have compulsively detailed for a century. The IMS dominates American racing mythology and is as much a pilgrimage destination as a race track. Like so many shrines it invokes a host of American traditions that are perhaps more firmly rooted in our imagination and hagiography than especially concrete history.